Many of you know journalism was Stan’s passion. He was one of the first anchors hired at CNN Radio in 1985. And he worked there until his death in November 2011. 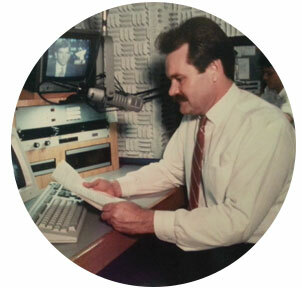 Stan also loved helping young journalists find their “voice” in radio and TV. To keep his generous spirit alive, I created this scholarship at his alma mater, the University of Central Oklahoma. It was here that Stan anchored his first newscast. And the rest, as they say, is history. My dream is to award this scholarship twice a year, in perpetuity. It will be awarded to students who achieve academic excellence in the field of mass communications. To endow the scholarship, I need to raise at least $200,000. Stan wrote his stories one word at a time. With your support, we can build this tribute to his memory one dollar at a time. Small or large, all donations will be greatly appreciated. Your contribution is tax deductible! "Educating Future Journalists, One Gift at a Time"
When filling out this form please make sure to specify this scholarship by using this fund # - E10340. Please make your checks payable to UCO Foundation. Stan wrote his stories one word at a time. With your support we can build this tribute to his memory one dollar at a time. To endow the scholarship, I need to raise at least $200,000. All contributions are greatly appreciated!